These fish are unusual as some species spend most of their time out of the water. Mudskippers are usually found in Mangroves and mudflats on the coast. They are adapted to be able to remain on land after the tide has gone out. Although they have no special organs for breathing air, they can absorb oxygen through their skin and the lining of their mouth, as long as they stay moist. They can retain bubbles of water inside their gill chambers to allow them to carry on breathing through their gills while on land. This means they can remain on land for up to two days at a time. 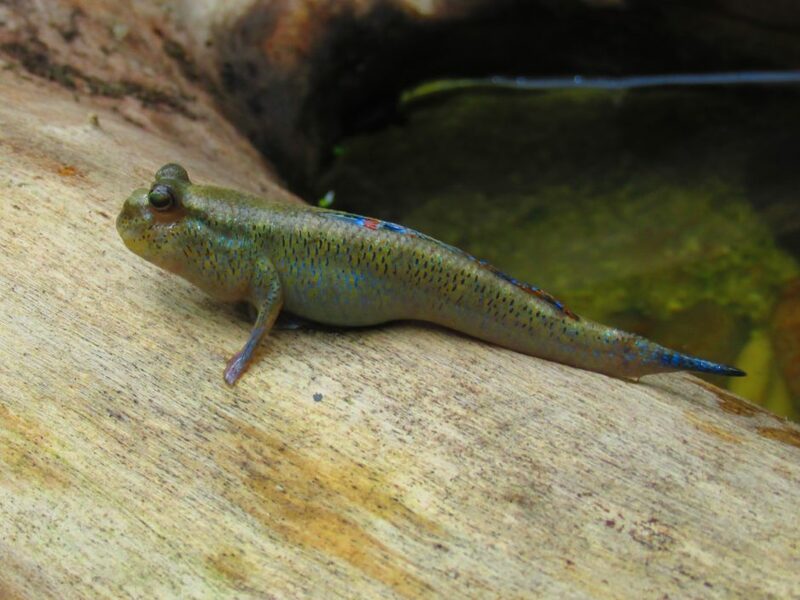 Mudskippers have specially adapted pectoral and pelvic fins, which allow them to haul themselves onto land. As their name implies, they move by skipping or hopping across the land. Because they spend so much time on land, the mudskippers eyes are adapted to see much better on land than underwater. Some species can skip faster than a human can move!